Sabre P22 Pocket Pepper Spray 4 Tall x .87 in. Wide .75 oz 8-10 Feet in. 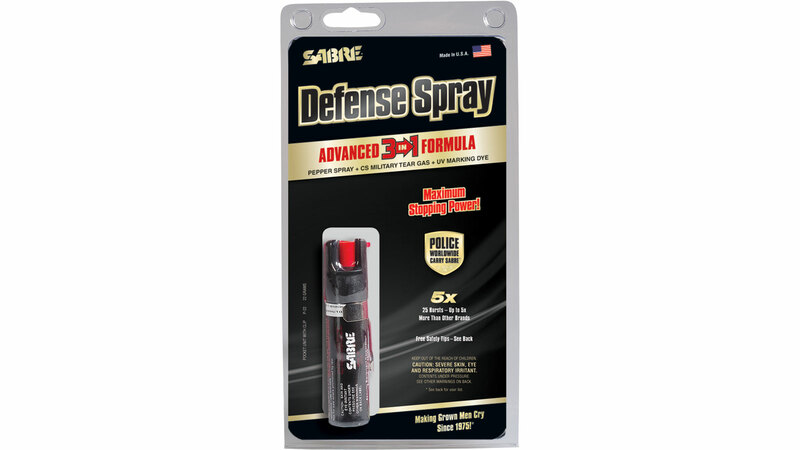 Sabre brand quality defense sprays provide millions of people with protection. All units feature a four year shelf life independent laboratory testing an ultraviolet dye for suspect identification a superior nonflammable and nonozone depleting formulation a soluble formulation which does not require shaking before use approximately 75 more content per canister than the competition safety locking tops with easy operation to prevent accidental discharge special canisters to prevent leakage and chemical reactions from occurring and a state of the art propellant allowing the last shot to shoot as far and as forceful as the first.